Kiddush Lite. A delicious meat cholent will be made by Rabbi Mendy Levitin, sponsored by Moshe Ohayon. Seuda Slishit Lite. With the new year here. Please think about making a donation to my team for Friendship Circle! Friendship Circle pairs typical teens with non typical kids for friendship and more! Thank you!!! https://www.walkwithfriendship.com/Team/View/84857/Team-RockStar -Rocky Rudnick! Today comprises two aspects: 1) it is Shabbos Bereishis; 2) it is Shabbos MevarchimMarCheshvan. Both these aspects emphasize the transition from the form of service of the month of Tishrei to the form of service of the rest of the year. Let us examine each aspect separately. Although “Shabbos Bereishis” is given its name because we read Parshas Bereishis on this Shabbos, the fact that it is customary to call it “Shabbos Bereishis” (and not Shabbos Parshas Bereishis), indicates that, since “Bereishis” also means “beginning,” Shabbos Bereishis also means the “first Shabbos.” Although it is not the first Shabbos of the year, since there have been a number of Shabbosim since Rosh HaShanah, it is the first Shabbos in relation to the existence of the world, as written, “In the beginning (Bereishis) G‑d created the heavens and the earth.” The preceding Shabbosim transcend the world; they exist in Torah, which preceded the world. But if we are talking of a level that transcends the world’s existence, the very concept of Shabbos, which exists only when there are six preceding weekdays, is meaningless. In a level transcending the world, transcending time, there can be no difference between Shabbos and weekday. What then does it mean that the Shabbosim before Shabbos Bereishis are of a level transcending the world’s existence? To understand this, let us first explore an aspect of Matan Torah that will shed light on the subject. Before Matan Torah, there existed a Divine decree that the upper regions (spirituality) should not descend to the lower (this material world), nor should the lower ascend to the upper. At Matan Torah, this decree was abolished. This could have been achieved in two ways. 1) The upper could descend to the lower — as actually happened, as written, “The L‑rd descended upon Mt. Sinai”; 2) the lower could ascend to the upper — i.e., to elevate the Jews to a higher level and there give them the Torah. Matan Torah happened in the former way because the ultimate purpose in the giving of the Torah is not to elevate the world, but to draw down holiness into the world as it is, a corporeal place. So too in our case: When we say that the Shabbosim before Shabbos Bereishis transcend the world we do not mean they do so totally, for then, as noted, the entire concept of Shabbos is meaningless. Instead, these Shabbosim are connected to the world, but such that the world is in an elevated state (heavens and earth as they are in Torah) — corresponding to a service of elevating the world to a transcendent level. Shabbos Bereishis is the first Shabbos to be connected with the world as it is below, the actual, physical world. And as noted above, the ultimate goal is to infuse and reveal G‑dliness in the world as it is. The month of Tishrei is the “head” of the entire year, a general month. MarCheshvan and the rest of the months are particular months following the “head.” During Tishrei, a Jew is occupied with the festivals, and thus he stands above weekday matters. Even the weekdays of this month are under the influence and spirit of its festivals. Weekday work does not begin in earnest until after Tishrei has ended, in the month of MarCheshvan. And, as noted above, the ultimate goal is service in weekday work — i.e., to infuse the lower regions with sanctity. Shabbos Mevarchim MarCheshvan is in the last days of Tishrei. Thus, although Jews are still in the month of Tishrei, they already bless and generate the strength for the service of MarCheshvan. The blessings and strength for the service of MarCheshvan are given from the month of Tishrei specifically, for while the ultimate in service is in worldly matters, such service, to be whole, must contain within it the inspiration of the mode of service of Tishrei, which transcends the world’s existence — i.e., that it should be revealed and illumine in the world. More specifically, there are two types of service to G‑d: 1) that of the whole year, regular service, dealing with the world as it is; 2) that of Tishrei — transcending the world and elevating it. The principal form of service is the former, to introduce G‑dliness into the world. Simultaneously, however, to ensure that this service be complete, the form of service of Tishrei — transcending the world — must be infused into regular service. 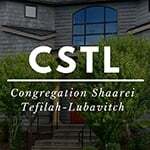 This is why the blessings for the service of MarCheshvan stem from Tishrei. It teaches that one must introduce the concepts of Tishrei into the service of MarCheshvan — weekday matters. 2. Just as the months of Tishrei and MarCheshvan differ regarding the world (Tishrei — transcends the world; MarCheshvan — working within the world), so the same difference is present concerning the person who performs service in the world. A person performing Divine service can experience two different types of sensations: 1) he feels that the world and himself have no existence, and he is but G‑d’s servant; 2) he feels that he and the world have an existence, and his task is to reveal G‑dliness in the world. Although the first type — total self-nullification before G‑d — is seemingly the loftier of the two, the goal is to reach the second type, for G‑d desires that man should serve Him as he is in this corporeal world. This is similar to that noted above, that the ultimate goal is not to elevate the world, but to introduce G‑dliness below. This, in general, is the difference between Tishrei and MarCheshvan (and the other months). The Baal Shem Tov taught that “the seventh month (Tishrei) ... G‑d Himself blesses it on Shabbos Mevarchim ... and with this strength Israel blesses the months eleven times a year.” In other words, the blessings for Tishrei stem from above, from G‑d, and Jews play no part in it. The blessings for the other months, beginning with MarCheshvan, are elicited through the service of Jews. Yet, also these stem from G‑d’s strength and blessings to the seventh month. In the light of all the above, we can well understand the Rebbeim’s adage, “How one acts on Shabbos Bereishis determines the whole year.” The type of service on Shabbos Bereishis affects the whole year, for it is the first Shabbos regarding the year’s service — in worldly matters, — and it also provides the strength for the service of MarCheshvan, which is the regular form of service of the whole year. Simultaneously, Shabbos Bereishis is still attached to Tishrei, meaning it possesses all the lofty characteristics of the festivals of this month — transcending the world — and it stands ready to infuse them into the rest of the year’s service. Because Shabbos Bereishis possesses both these aspects, service on this day affects the whole year. Also, Shabbos blesses all the days of the coming week, including the coming Shabbos, which in turn blesses the days of the following week including Shabbos, and so on throughout the year. Thus Shabbos Bereishis, which is the first Shabbos in the year’s regular service, affects the whole year. May it be G‑d’s will that each and every Jew utilize this auspicious time to undertake good resolutions concerning the year’s service — in general, to introduce the revelation of G‑dliness in all aspects of creation. 3. The above applies to Shabbos Bereishis every year. In addition, there are lessons to be derived from those aspects which depend on this particular year’s calendar — that this year Shabbos Bereishis is the 24th day of Tishrei, and that there are no intervening weekdays between it and Simchas Torah. Let us examine each of these separately. On the 24th of Tishrei, Scripture relates (Nechemiah 9:1-2), the Jews in Eretz Yisrael, fasting and in sackcloth, assembled to rid themselves of their sin in taking non-Jewish wives. This is particularly relevant to our times when, as a result of the “Who is a Jew” law, there have been a catastrophic number of intermarriages. The term “intermarriage” is really a misnomer, for there can be no “marriage” between a Jew and a non-Jew. G‑d has separated the Jewish people totally and utterly from the gentile nations, as light is separated from darkness. Thus any bond between Jew and non-Jew is totally false, and to apply the term intermarriage is but a swindle — fooling the couple who wish to marry into thinking that their “marriage” has any substance. Yet, despite the immense severity and paramount importance of this matter, there are some who do not allow the matter to be rectified, and do their utmost to cause any steps taken in this direction to fail. Why do they do so? Because they are blinded and swayed by money, false honor, etc.! But “the word of our G‑d shall endure forever”: it is thus easy to determine what will be the end result of those who do battle against G‑d. If so, it is better for them that they rectify the matter now, immediately, pleasantly, and peacefully. In the above episode related in Scripture, no one was in doubt that the situation needed immediate rectification. They therefore assembled together, fasting and in sackcloth, repented, and separated Jew from gentile. There was no argument about it. They certainly didn’t allow the situation to continue for thirteen years and more. Today, to our sorrow, thirteen years have passed since the Law of Return was passed to read that even one who is converted non-halachically is considered a Jew — and still there is argument if an amendment is needed! This matter is submitted for a vote in the Knesset, so that also the gentiles in the Knesset — Christians and Moslems — can express their opinions regarding who is a Jew! This is not a political matter! It is a matter of Halachah, “the word of G‑d” — and G‑d is not a member of the Knesset or any parliament in the world. G‑d is the Creator and Ruler of the world, and is Omnipresent. He is in the world as its ruler — whether one likes it or not! The lesson we take from the 24th of Tishrei, then, is that people should take the opportunity of remedying the situation pleasantly and peacefully. There is also a lesson to be derived from the fact that Shabbos Bereishis this year is on Isru Chag, the day immediately following Shemini Atzeres and Simchas Torah. We explained previously that the idea of Shabbos Bereishis is to infuse the concepts of Tishrei into the weekday service of the whole year. When there are weekdays intervening between Simchas Torah and Shabbos Bereishis — a spiritual descent from the level of Simchas Torah — one must first remember the spirit of Simchas Torah and reattain its level, before one can introduce its concepts into the year’s service. But when Shabbos Bereishis follows Simchas Torah without any intervening spiritual descent of weekdays, as this year, it is much easier to introduce the concepts of Simchas Torah throughout the year. And, of course, this extra strength is granted not to save one work, but to utilize it to rise yet higherin this service.